Wagon Wheel Chandeliers - Colonial Trading Co.
Top Quality lighting fixtures and Chandeliers made from our own Amish-made wagon wheels. Solid brass chain and many different lights to choose from. 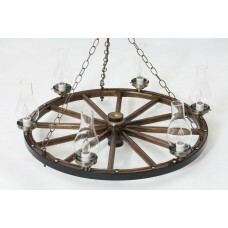 Below are just several of our "Standard" wagon wheel chandeliers. However, we can build anything to your specifications. 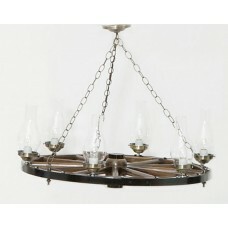 Please contact us for a quote on a custom Wagon Wheel Chandelier for home or project. We can use any of our wagon wheels, or build a custom wheel, depending on your needs. 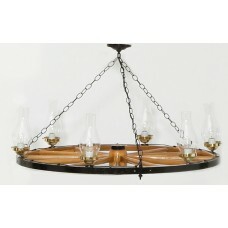 We also have a wide variety of lighting fixtures to choose from, as well as chain and hardware. Call us today and have your one-of-a-kind chandelier built for you.